Our website is a platform to analyze sports performance. In the Selfloops website athletes have an in-depth analysis of their specific workouts and a view of trends across different metrics. Coaches can use the website to manage and track multiple athletes. Both athletes and coaches can add their feedback next to a workout. The platform facilitates the communication and feedback loop between the athletes and coaches, that’s key to keep improving. We have now added the commenting ability to our smartphone Spark application, available for Android and iOS. 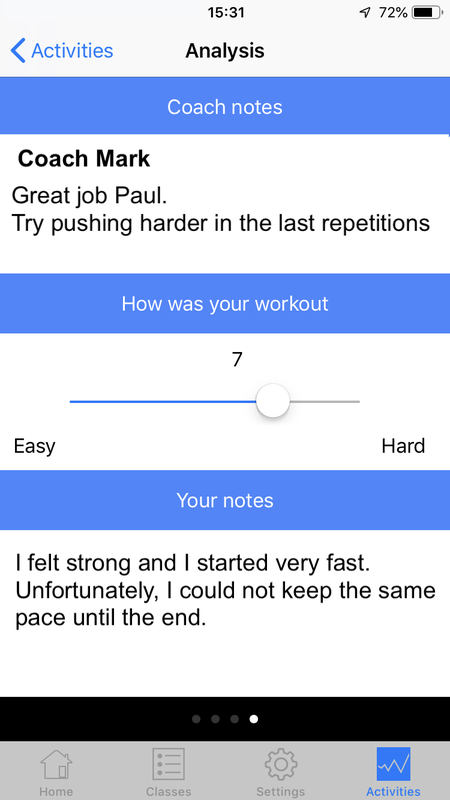 With our Spark smartphone app athletes can check their workouts, add comments, see the coach’s comments and add their rate of perceived exertion (RPE also called Borg scale). All the information is synchronized with the website.